The most common question among most businesses – What’s the difference between WordPress.com and WordPress.org. Which one is right for your business? Not sure! In single line: One is limited, the other is not. One is Free, the other is not. In order to give you a quick and in-detailed difference between the two, our WordPress research team has come up with an Infographic. Have a look to decide what is the right choice for your business. 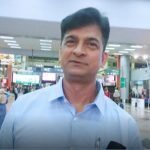 WordPress .ORG/.COM — Which is best suited for me? Whether it’s with managed WordPress hosting (i.e. the .org kind) or the free WordPress.com hosting, at some point of time, you’re going to pay to play. While most self-hosted WordPress (for the .org kind) sites won’t have the “here and there” optional costs. A year of web hosting isn’t going to “save” on WordPress.com — if anything, self-hosting tends to be (slightly) more expensive. So if it’s not the money, what should be the deciding factor? Simple — it’s you. This is your site, your brand, your asset and your voice. The deciding point is how you wish to present yourself. For certain types of blogging or personal sites, WordPress.com hosting offers an inexpensive method to share your thoughts, images, videos and connect with others across the world. Are you planning a private “my family” site? For free, or near-free, you can probably ignore the clumsy “domain” name, the design limitations, and general “ad and link” clutter. My opinion, choosing wordpress.com in this regard would be smart. On the other hand, if you run a professional site — your portfolio, an industry blog, a business, want to publish product details, then you are much more likely to need total control over your hosting, advertising, branding, and more. You’ll want to pick a great framework as well as themes, plugins that serve your needs. And if you’re a professional currently hosting with WordPress.com, don’t worry — you can migrate to a self-hosted platform at any time. You can always consult with us for WordPress data migration services. Still have questions! Feel free to write to us, we will have our WordPress guide you to opt for the best possible option. 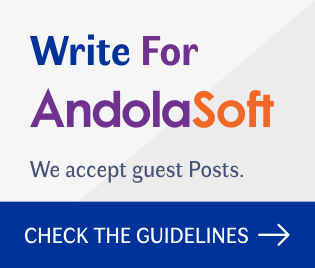 Please Visit Andolasoft’s WordPress Service for more information. You can also write to us at info@andolasoft.com. Send us your inputs in the comments section below. We can help us to meet your WordPress needs, check out Andolasoft’s WordPress Development & Support. Last but not the least; don’t forget to share with anyone who you think might need this!